"Only when we remove ourselves from the problem, do we find the simplest answer." 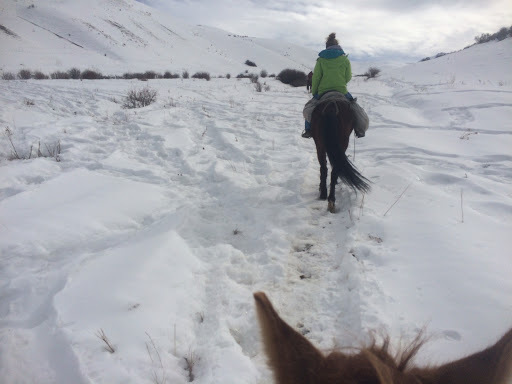 After a frantic 10 days of adventuring around in Kyrgyzstan which included but not exclusively, A horse, A pair of skis, A hot spring and more snow than an Eskimo's freezer, we find ourselves back in Kazakhstan (Almaty to be exact) with a fresh, new outlook on life. Last time I wrote on this blog I had given up on the realistic possibility of cycling back the the UK. Instead I looking at flying back to the UK from Moscow and finding my own way once again... But after deliberating the possibility of finishing the trip on my own, as well the discovery that we can buy a different pannier rack for Laura's bike that would work, the trip almost looked like it was ready to be re-started. Like all great deals there were clearly negotiations to be had, and compromises to be made. Laura (known as "The Bolt Buster of Kazakhstan" for her uncanny ability to shear two bolts in two weeks, one of which she did by simply tightening by hand) said that we should have front panniers. "This will even the weight out on the bike, stop us from overloading the rear racks and hopefully stop us snapping more bolts." I said that we should have studded ice tyres "because ice is scary and falling off hurts!" With these strict and uncompromiseable decisions being agreed upon, we booked our tickets for the train to Moscow. From there we will head up to Saint Petersburg and this is where we will restart our cycling journey of 2000km through Scandinavia. So its back on!! And like all good commitments, no front panniers or studded ice tyres have yet to be brought... typical.